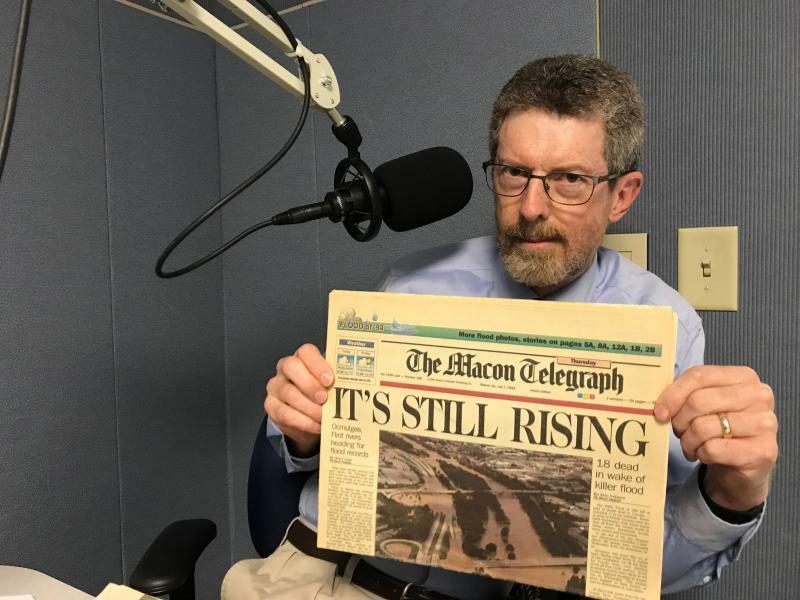 Longtime Macon Telegraph editor Oby Brown ends a nearly 40-year career in journalism today. On Second Thought host Adam Ragusea speaks with longtime Telegraph editor Oby Brown. Brown's departure comes amid what another outgoing editor called a "transformation" of the newspaper. Numerous veteran staffers, including columnist Charles E. Richardson and sports editor Daniel Shirley, have left in the last year alone. Executive editor Sherrie Marshall also retires Friday along with Brown. Brown, senior editor for local news, joined the paper as a reporter almost 40 years ago. Major stories he's covered include the execution of John Eldon Smith in 1983, the first after Georgia's death penalty was reinstated. Brown also reported on the flood of 1994, which killed 31 people across the state and left 300,000 people without water for three weeks. More recently, Brown covered the Bibb County superintendent scandal, which revealed Romain Dallemand had accepted thousands of dollars in bribes and spent millions of dollars without authorization from the school board. Dimon Kendrick-Holmes, editor of the Columbus Ledger-Enquirer, is helping lead The Telegraph through this series of changes. "We are changing the way we deliver the news to you, because you’re changing the way you get and consume your news, which changes the way we make the money we need to stay in business and keep giving you the news," Kendrick-Homes wrote in a recent editorial. Oby Brown joined us in the studio to discuss the way local news is changing and reflect on his longtime career covering the news in middle Georgia.